Much like with Font and the Peak District, to lump this area into the umbrella on “The Frankenjura” is a touch harsh, as the place is huge. There are literally dozens of crags to chose from, far too many to be able to just randomly start stopping at the side of the road. Similarly, this area is world famous, known to climbers everywhere and a popular hotspot for travellers. The downside is that this is the home of sport climbing, not bouldering. While that may not be a major problem per ce, it does have a rather difficult consequence: there is no bouldering guide. One day there may be one on the cards, assuming the twisted logic towards conservation here straightens out. The story i heard when i was there involved a lack of enthusiasm to encourage more traffic to an already busy and environmentally sensitive location. 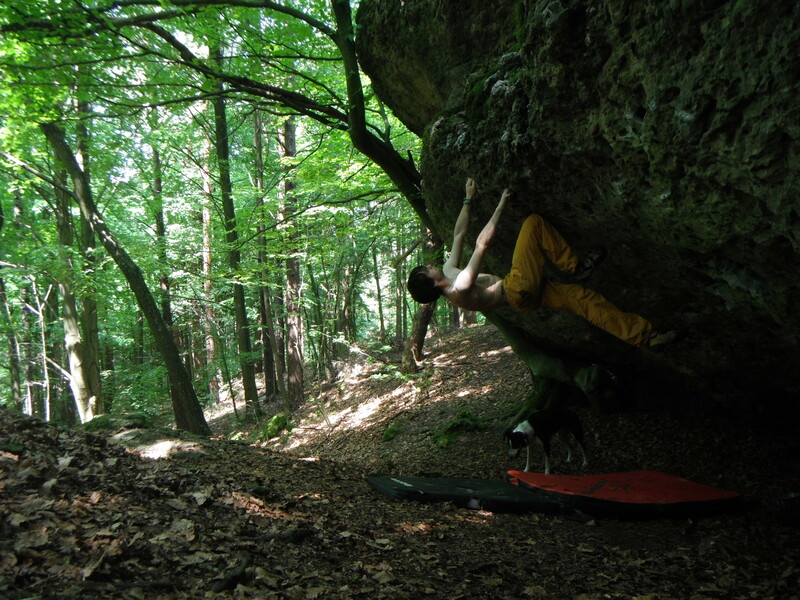 For what it’s worth, my thoughts are that one bouldering guide will not make a scratch compared to the dozens of existing rope guides to the Frankenjura and would help to spread the load somewhat, but we’ll leave that as is for now for fear of this turning into a long and angry rant. The long and short of it is that decent bouldering venues are hard to find here. I was also alone and not in the best state of mind so was struggling somewhat, but the local climbing shop in Betzenstein was a wealth of help and a fantastic place to go for some help. The other problem is that there is such a wealth of climbing here that trying to pick out the best spots and the best lines can be a bit of a minefield. For the experienced or the enthusiastic, it’s probably best to see this as an extra challenge. This can, of course, be overlooked once one considers the other fantastic aspects of the local area. The Frankenjura sits amidst the famous German region of Bavaria: rich in history and heritage and predominantly famous for it’s beer. There are plenty of local breweries, and in the summer of 2013, a bottle of beer cost around 1€. The architecture and local area is typical of what one might expect from a typical German tourist destination and again, the local food is stunning. 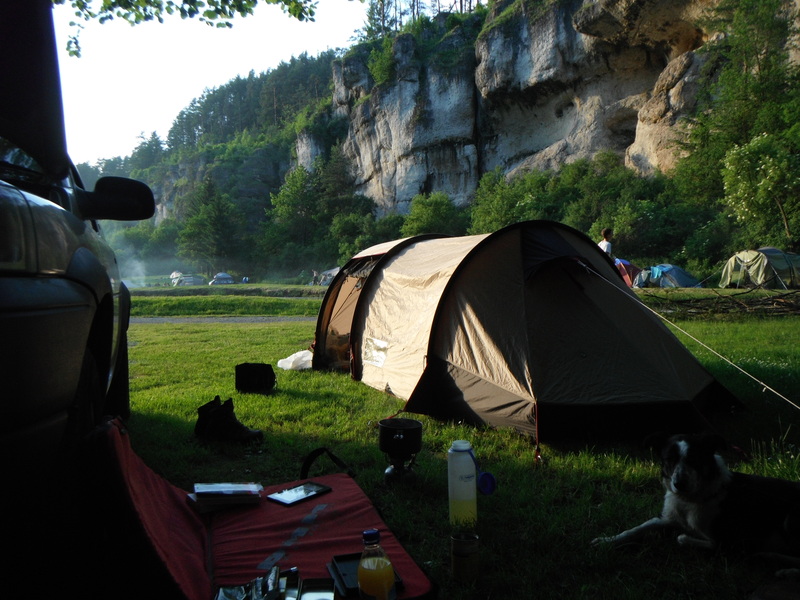 That said, a quick search on Wikipedia for “Frankenjura” shows how popular this place is with outdoor enthusiasts. Neudorf. This was a welcome sight, i can assure you, and my first taste of the area. There is quite a bit here and it’d be interesting to go with a local to see the established lines. Typically for the Frankenjura, it’s pockets galore and there would be some great eliminate fun to be had, as well as plenty of lines in their own right. There would be plenty here for the uninitiated to have a blast at, preferably with a bit of a crew, so if you’ve got some mates around you, it’s worth a punt; not a bad little venue. Klagemauer. Not as convincing if i’m honest. I had a bit of a wander and there looked like there were some interesting prospects and again, with some mates or some imagination, there would probably be plenty to have a blast at. I was suggested Klagemauer by the Rock Shop, predominantly because of the little monolith by the entrance to the crag but wasn’t entirely convinced and so ended up at the crag proper. There was little to go at, being a sport crag, other than a traverse, which turned out to be nowhere near as hard as first thought. This one i can offer a bit more advice on than the crags. That said, at the time, my state of mind wasn’t at it’s best so if i’m a bit vague, i apologise. The fact is that this area is huge for tourists, very busy at weekends with plenty of options within a reasonable distance. You’re situated between the three large towns/cities of Bayreuth to the North-East, Bamberg to the North-West and Nurnberg to the South-West. Closer by are a multitude of smaller villages with shops, cafes and bars, all sorts. The two that i visited were Pottenstein and Betzenstein, both with plenty to offer visitors. Guides. I’m not going over this again i’m afraid, i think it’s all been said above. Food. Erm, as alluded to above, with my state of mind being a bit warped, i didn’t actually eat for several days of my week here, and had taken plenty of food with me that lasted me the week. As i said, though, there are plenty of supermarkets around, in Pottenstein and Betzenstein at least, so finding food shouldn’t be that tough. Climbing shops. There is only one that i know: the Rock Store 24. As i mentioned before, it’s a fantastic little shop, with great staff and everything you could need. Watch out, their opening times aren’t quite what you would expect in the UK (my shop in Wales opening 9-5:30 daily, arriving at 11:30 to find the Rock Store closed was a surprise to say the least!) so bare it in mind if you’re planning a speedy visit. Accomodation – Campsites. My hands were a touch tied with this: there is a site that comes highly recommended known as Marthas, but they won’t take dogs. As i had Tess with me, I had to search around for somewhere else. My choice, in hindsight, wasn’t great, near the main road between Pottentein and Tuchersfeld, pitched about as far from the showers as i could. It wasn’t intentional and while i was there, i found another site near Betzenstein that i’d probably use again next time. It is worth stressing again that the area is flooded with people come the weekend – i went from being almost alone all week to being completely overrun come Friday night. Other handy places. Well, i know there is a very good Land Rover garage in Bayreuth with some fantastically helpful Germans but that might not help you much. The fact is though that there is almost anything you could need in the area, especially as the big towns aren’t more than an hour away.